When the star-studded British Academy of Film and Television (BAFTA) awards are screened on TV, the academy's website receives five times more traffic than usual. Consequently, it has become increasingly difficult for BAFTA to keep its web shows on the road using its own servers. But now, after moving to cloud services, BAFTA has been able to scale up capacity to cope with peaks in demand. BAFTA digital communications manager Pippa Irvine says that by 2011, viewers’ growing penchant for “two-screening” (browsing the website while watching the TV broadcast) was starting to affect its ability to deliver a smooth online service. “We noticed the site was slowing down considerably at awards time. When the BBC broadcast begins at around 9pm, traffic surges as viewers check the site for more details on the ceremony, nominees and winners," says Irvine. "Although the site never went down, our editors had trouble accessing admin functions to update content live to reflect what was happening at the ceremony." BAFTA is best known for its flagship film and television awards (held in February, and April or May respectively), but the independent charity also supports other moving-image art forms, including videogames. It also runs year-round learning initiatives in the UK and US to develop and encourage film, TV and games talent of the future. Increasingly, BAFTA relies on the web to deliver content and services to its users and audiences. At peak award times, though, these services also suffered a slowdown. Initially, the organisation tried splitting off the awards site. This alleviated some of the performance issues, but it was not suitable as a long-term solution. “We put all the stuff that had to be updated live onto a new Drupal website, launched last year. However, it wasn’t the most efficient setup for us to run a standalone server that could cope with the traffic during the awards peaks, since it only really surges for one weekend in the year. "In an average month we’d be seeing about 200,000 unique visitors. In February, that figure climbs closer to a million during the weekend of the awards,” says Irvine. With traffic growing every year, and with the balance of content increasingly shifting towards more bandwidth-intensive video and imagery, a physical set-up wasn’t sustainable. By last year, the academy was running five key websites, using a variety of platforms: the core BAFTA website (on an older, end-of-life platform), the new awards website, the educational site BAFTA Guru, the Wordpress-based BAFTA Kids Vote site to support its annual children's awards and the Young Game Designers website to help and encourage 11-16-year-olds to build their own videogames. BAFTA wanted to move all five websites on to a consistent cloud platform so last summer it went through a long tendering process. Although the company had already established a partnership with video-hosting company BrightCove, the Rackspace deal represents a major step into the cloud for BAFTA. It has also been the catalyst for the academy to shift even more stuff into the cloud, and the organisation has since struck up relationships with digital asset management firm Third Light – which is putting all its image content, including archive material, online – and with Salesforce, to migrate its member database. “We’re integrating Salesforce with our main website so we can facilitate members’ access to exclusive content and customised services. We’re also aiming to provide access to our Third-Light-hosted image database directly from the website,” Irvine says. 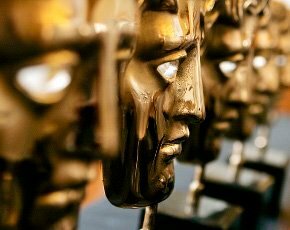 As a result, BAFTA is now far better prepared to meet the future demands of its staff, members and casual site visitors alike. “Every year more people come to our website. This year traffic increased by 45%. And they want a great web experience alongside the TV experience. Now we’re confident we’ll be able to do so much more – providing more information, more imagery and more video content, tailored to people’s needs, and at the speed they want it,” says Irvine. And if everything plays out as planned, it won’t just be the stars attending the BAFTA awards who'll feel like they’re getting the red-carpet treatment.